Text To Tribute Summon this card face-up, you can Tribute Continuous Spell/Trap Card(s) you control, as well as monsters. 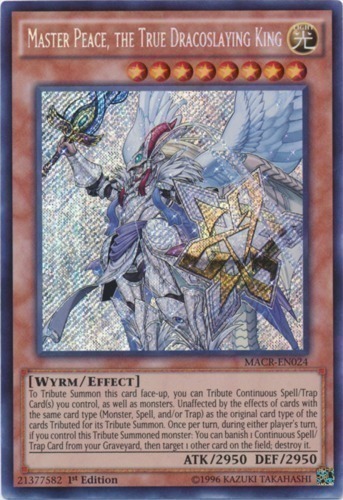 Unaffected by the effects of cards with the same card type (Monster, Spell, and/or Trap) as the original card type of the cards Tributed for its Tribute Summon. Once per turn, during either player's turn, if you control this Tribute Summoned monster: You can banish 1 Continuous Spell/Trap Card from your Graveyard, then target 1 other card on the field; destroy it.